Featuring amazing accommodation options for every budget and taste, Selina Maderas is a perfect spot to chill and surf. Guests can enjoy free WiFi, on-site bar, a yoga deck, a co-working space as well as a swimming pool and common areas with games and live music. This breathtaking locations is located 500m away from the beach. Maderas is an amazing surf town with good vibes and people from all over the world. Leave behind the hustle of town, while still being a short trip away from beautiful San Juan del Sur. 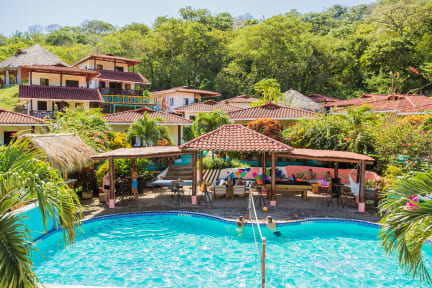 Wake up to the sound of Howler Monkeys and exotic birds while you enjoy the best vacations. 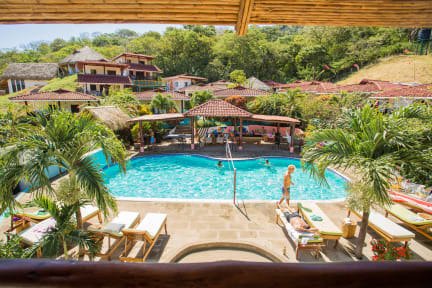 This Selina is located only 9 km from San Juan del Sur and only a 7 min walk from the best surf break in the area. Experience the new way of traveling, enjoying some local flavors, healthy food, yoga classes, artistic activities and parties or you can get some work done in the co working space. We are sure you’ll be delighted by the amazing views, relax in the pool and playground area and enjoy this surfing paradise. How to get to Maderas? Take a cab or book a shuttle with us on the Explore tab. You can get here from Tamarindo, San Juan del Sur, Granada or any other Selina! Take a cab to the the express bus from Managua at the Mercado Huembes everyday at 4pm. After only 2½ hours you'll arrive in San Juan Del Sur. Then get a taxi or shuttle to Maderas. Check out is at 11.00 max, but we will keep your bags for free all day long if you need.